There is headline news of the candidate who won an election in Texas by pretending to be black. Appearing white or black does not mean you are genetically black or white. It’s all superficial. I am sure if a genetic testing were to be carried out on the candidate one would find that he has Saharan African blood in him and I am not sure if the one-drop blood test is still operating in the USA. You know, where it is said if you have one drop of black blood in you, you are considered to be black by the state. When would society allow the Creative plan to unfold rather than attempting to stuff people in some kind of predestined hell. There are more people out there than we care to admit who are living confused lives in the hell fire of their bodies created by someone’s perspective on how we should live as human beings. 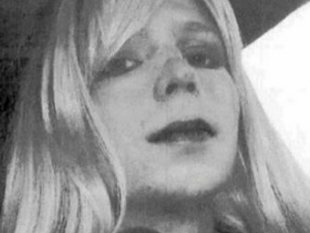 One day after being sentenced to 35 years for leaking classified documents to WikiLeaks, Bradley Manning announced he would henceforth live a a woman, no doubt a challenging path to pursue while serving a long prison sentence. Do you know who your father is? Do you know your siblings? What if you fell in love with a person who is your sibling – same father different mothers. In today’s world of buy and sell, there are many students some of them medical students who sell their sperms to help pay for university costs without a thought of where there sperms end up or whether their sperm might have father a sibling. One woman who used a sperm back recently got the shock of her life when she discovered that her child’s biological sperm donor had fathered 150 children. Ouch! That’s a bit much. What does that say about children and their right to know, what does that say about or value of human life? I just ask the questions, I don’t know the answers. I do not know the situation of those families who desperately want to have their own children and can’t conceive with their partners and have to look elsewhere. Somewhere, somehow there needs to be more scrutiny in this matter to prevent genetic complications for children who might unwittingly fall in love with a sibling and produce children with genetic defects. Please. …No one knows how many children are born in this country each year using sperm donors. Some estimates put the number at 30,000 to 60,000, perhaps more. Mothers of donor children are asked to report a child’s birth to the sperm bank voluntarily, but just 20 to 40 percent of them do so, said Wendy Kramer, founder of the Donor Sibling Registry. Scientists say a blood test could accurately measure the amount of potentially dangerous fat coating the body’s organs. So what happens? When we find out the fat that is coating us do we then go on a diet or under the knife? Doesn’t the fat show up on the outside first? We do have to reseasrch everything. Our love of chocolate knows no bound – our torrid love affair with this sweet thang. We think about it, dream about it, and probably – just sometimes – eat a bit too much of it. Some people even go so far as to claim to be addicted to it. But what drives our cravings for chocolate? Some believe it contains mind-bending ingredients that can enhance our moods. One bite, they maintain, and chocolate’s psychoactive compounds cause warm and fuzzy feelings to wash over us, making us want more and more. There you go. Children with allergies are more likely to develop asthma if they live in a developed country than in a less developed one, a new study suggests. Naturally, it is more polluted here than in developing countries and children are more outdoors in the fresh air rather than cooped up in polluted houses because of the detergents, cleaners, air freshers and all the other stuff we assault our children with in the air tight houses we have. 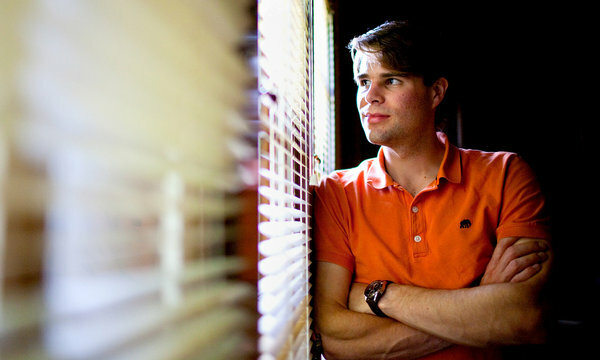 Increasingly, scientists are discovering a genetic component to cancer and other debilitating diseases including schizophrenia and even autism. And that raises an interesting conundrum: If natural selection, Darwin’s theory of evolution, is supposed to advance traits that promote the fittest and the survival of the species, why has it not weeded out genetic conditions that kill or are so obviously anti-social? If the medical and legal professions did not intervene, underfunctioning genetic conditions would have been weeded out a long time agon. It is no longer nature but nurture that is the new genetic lord of the gene pool.